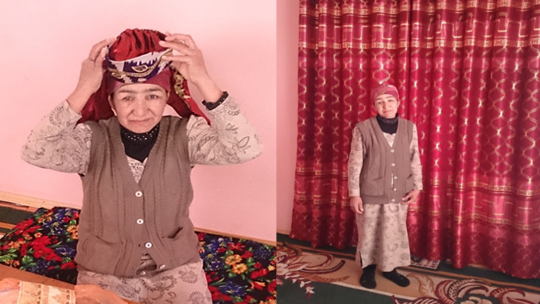 Skullcap is a national headdress of the Tajik people, made from woven fabrics, including velvet, decorated with silk embroidery, as well as gold and silver. Only women with sharp vision and perseverance can manage this kind of work. On November 2016, Habi got a loan from MFI "Humo" in the amount of 3000 TJS that she used for the construction of her new home. Having repaid the loan ahead of schedule, she intended to take a second loan, this time to expand her embroidery business. So in June 2016, she received a loan in the amount of 2500 TJS and purchased an additional sewing machine. At the moment, Habi is the most talented and famous craftswoman in her village and she has several apprentices. Her daughter helps her in the activity and work on the new sewing machine. To support other projects in Tajikistan, click here.